I’ve never met Phil Pospychala. But his reverence for Bix Beiderbecke, his music, and his world goes far beyond the sweet passivity of someone listening to his beloved records at home. No, Phil has been creating and hosting his Tributes to Bix for more than two decades: this one is subtitled THE DREAM CONTINUES: PART XXIII. You can find out more immediately by visiting here. But permit me to share a few bits of information. This year’s TRIBUTE is held in Racine, Wisconsin — and it will feature Andy Schumm, the heroic young man of jazz, with two “new” bands: his Monkey Chasers and the Scrap-Iron Jazzerinos. 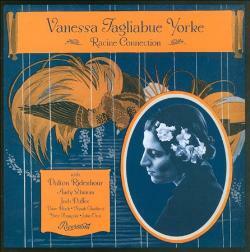 The lissome and swinging singer Vanessa Tagliabue Yorke will be coming back to these shores. 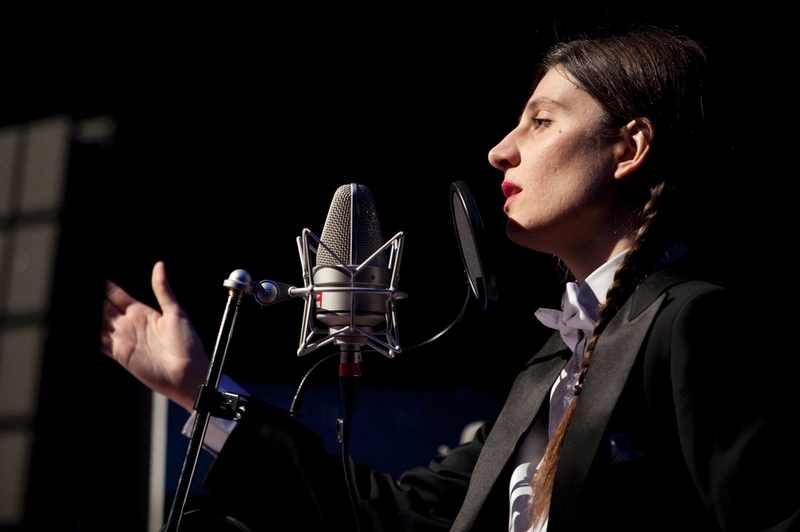 Rare films, rare records to hear and to buy, a lecture by Hans Eekhoff on sound restoration and other pertinent matters; a film-demonstration of Twenties dance styles by the Queen of the Dicty Glide, Bridget Calzaretta . . . cakes in the shape of famous Bix records, contests, a magic show . . . a bus tour of sites related to Bee Palmer, Don Murray, and much more. Josh Duffee, John Otto, Dave Bock, and Jamaica Knauer will be there. The highest priced admission (Patron with the bus tour included) is $100. The site will answer every question you might have — and raise some you never thought of — but you can also email Phil at bixguy@hotmail.com. It’s advised that you register at the Marriott by February 14 (If music be the food of love, play on!) to ensure that you’ll get a room. And here’s even more contact information: the BIX phone hotline is (847) 996-0246. There’s a reservation form and price schedule on the website, and checks should be mailed to Phil Pospychala at 15745 W. Birchwood Lane, Libertyville, Illinois 60048-5101. You can also pay by Paypal. The hotel details are as follows: Marriott – Racine, WI (Hwy.20) 7111 Washington Ave. Room Reservations – (262) 886-6100. Toll Free – (800) 228-9290. Tell the pleasant young person who takes your call that you are with the “Bix Fest” to guarantee the special rate of $89, and be eligible for prize drawing of free room. Register on line – www.marriott.com — type in Group Code – “bixbixa”; the group code field is on the Racine-Marriott homepage on the lower left side. The $89 rate and room information will then pop up. The closest airport is Milwaukee’s Mitchell International Airport. More details about bus, shuttle . . . are available on the website. These festive events don’t go on eternally, so don’t wait. Be a friend. “With pleasure” will be all yours. These videos were taken by the multi-talented Jamaica Knauer at Phil Pospychala’s “Tribute to Bix,” the most recent celebration of Bix Beiderbecke’s life and art. Cornetist Andy Schumm and his Gang — that’s Dave Bock (trombone), John Otto (reeds), Leah Bezin (banjo / guitar), David Boeddinghaus (piano), Vince Giordano (bass sax, string bass, tuba, vocals), and Josh Duffee (drums) performed a number of selections either recorded by Bix or evoking him. Appropriately, the music was played on Bix’s birthday — at the Bavarian Inn in Milwaukee, Wisconsin. There are perhaps unintentional thematic connections here, easy to find. Anyone who’s paying attention won’t need me to point to the special pleasures — the ringing playing of the front line, relaxed and hot; the rocking rhythm section, and the wonderfully steady tempos — but these performances will please over and over. This band knows the records and the idiom inside-out but no one feels compelled to copy the famous solos. And the smile on Josh Duffee’s face sums it all up for me. First, “the dear boy” is what Louis Armstrong called Bix, writing about him in 1954. And Bix Beiderbecke remains dear to many, as man and musician. The music promises to be typically rewarding, with Vince Giordano leading his Midwest Nighthawks and as a member of the “Bix and his Gang” band — which features Andy Schumm on cornet, Dave Bock on trombone, John Otto on reeds, and Josh Duffee on drums. Jamaica Knauer, videographer and singer, will be making her debut with cornetist Scott Black, Bock, Andy Schumm on piano, John Otto, and Sue Fischer on drums. The New Century Jazz Orchestra from the UK will be playing as well. For details (prices, reservations, scheduling) visit the BixFest site above. The video clips I have seen and posted from this festival are evidence enough that a good time was and will be had by all. Or ask your local Bixian!